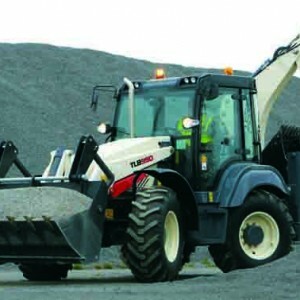 Coventry produces Terex backhoe loaders. Terex is selling its UK-based compact equipment business to a subsidiary of French manufacturer Mecalac as it continues to offload its interests in general plant. The Coventry site makes backhoe loaders, dumpers and small compaction rollers and the disposal underlines Terex Corporation’s drive to focus on markets where it has a bigger presence. In June it sold its German compact operation to Yanmar in a $60m deal covering the production of wheeled loaders, midi and mini excavators, wheeled excavators, and other products in Europe. Various disposals over the years – it is also selling its Material Handling and Port Solutions business to Konecranes – means that Terex Corporation has reduced its once all-embracing portfolio to three main focus areas: cranes, access equipment and crushing and screening equipment. Groupe Mecalac S.A. manufactures compact equipment for urban, utility and railway applications. The sale is subject to the normal closing conditions and is expected to be finalised in the first half of 2017. 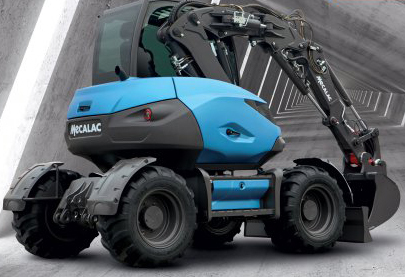 At this year’s Bauma Exhibition in Munich, Mecalac received the Innovation Award for its MWR wheeled excavator concept. At the same time, Terex Cranes announced that as part of a ‘cost alignment strategy’ it is to sell a fabrication components and parts facility it operates in Hungary and to consolidate three manufacturing locations in Zweibrücken, Germany, into two. Thirty per cent of jobs will go. It also confirmed it is to re-enter the City class market, introduce a 300t six-axle model and launch a flat top tower crane. The news follows a year during which the business reintroduced the Demag brand and rolled out the new Demag five-axle product line and Terex global rough terrain models. Other recent moves by the cranes company to make more efficient use of its manufacturing have included consolidating all North American crane production into a facility in Oklahoma. The pending sale of the Material Handling and Port Solutions business to Konecranes will include a facility in France that manufactured four Terex all-terrain models. Production of those are being absorbed by other Terex manufacturing sites.